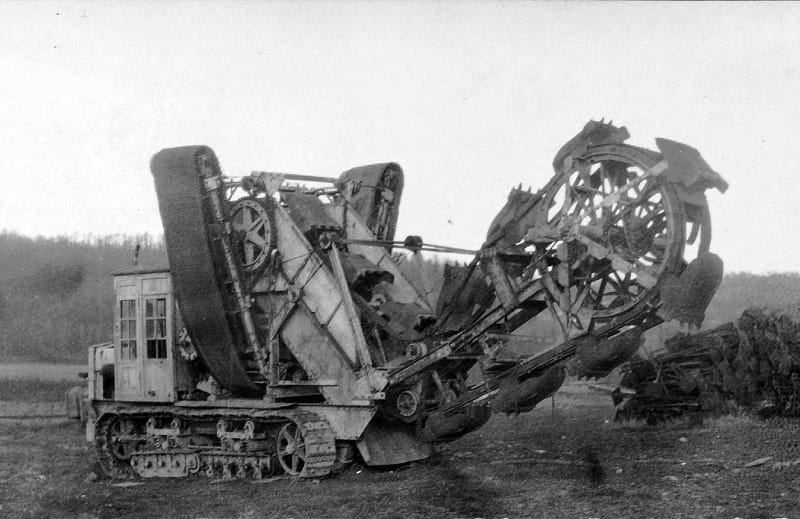 WW1-era Pioniertruppe A7V-Schützengrabenbagger LMG trench digger of the German Army, c. 1918. Only one was produced. What grabbed my attention on this one was the fact that "graben" is also the German word for "grave". Given that that was what the trenches became for many poor soldiers, it seems sadly appropriate. The Irony! wonder how often they broke down as similar much smaller trenchers did decades later. I think it was our hardwood roots that created problems for such machines here. The German made tools I have owned have been terrific long lasting & hard working. Wacker Werke, Metabo to name a couple & not suggesting other country's made tools were inferior.